Do I Need Root Canals for My Dental Crowns in Brookfield? If your dentist has recently recommended you receive dental crowns in Brookfield, it is natural to assume you will also need root canals because the two often go hand-in-hand. 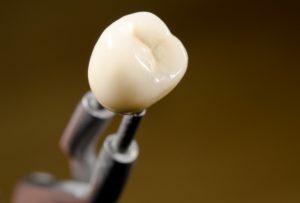 While they are often used together, you do not always need a root canal when receiving a crown. 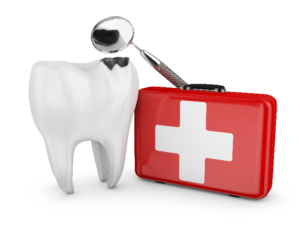 After evaluating your oral health, your dentist will determine if you need one or both treatments. Comments Off on Do I Need Root Canals for My Dental Crowns in Brookfield? When it comes to your dental care, you often must compromise getting the treatments that you need due to schedule conflictions. This is often true in the event of dental emergencies. While you never expect it to happen to you, it is estimated that one in six Americans will be in this position this year. Often, when an emergency strikes, it occurs at the worst time possible. It can be difficult to find an emergency dentist in Brookfield who offers the office hours that you need to quickly treat the issue. At Elmbrook Family Dental, S.C., we understand the struggle you face, which is why we offer early morning and late evening appointments to accommodate your busy schedule.